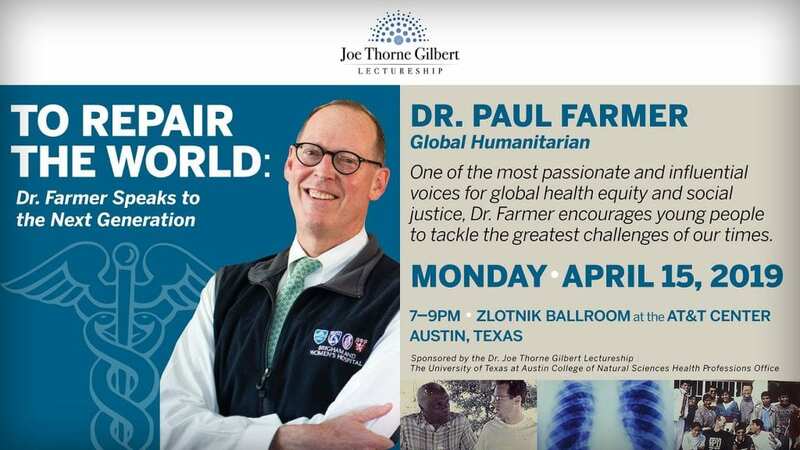 The Health Professions Office is excited to present the Joe Thorne Gilbert Lectureship speaker in April, Paul Farmer, MD, PhD. Dr. Farmer is one of the most passionate and influential voices for global health equity and social justice, and he loves talking with students. All students who are interested in these issues, whether or not they are interested in medical school, can attend this event. Monday, April 15, 2019 from 7:00 – 9:00 p.m.
To learn more about Dr. Farmer, visit www.pih.org and ghsm.hms.harvard.edu. Please plan to join us at this inspiring presentation!